College years are a wonderful time in the life of young people. It’s a great fun to live on your own and finally gain independence, meet new people, and make friendships. College comes with a lot of freedom when no one tells you what to do. Without parental control, young people can find it challenging to create work-life balance in a totally new environment. Sometimes, among challenging curriculum, tons of homework, busy social life, and personal commitments, students forget to take care of themselves. Eating junk food, skipping meals, staying up late, cramming for tests, etc. can lead to health problems. Here are quick health tips from experts of an educational portal at https://my-custom-essays.com. You should consider them to ensure you stay healthy while enjoying your youthful and newly independent years. In this way, you will be able to develop useful habits you can follow for your lifetime. Sleep is essential for maintaining good health and lack of sleep can lead to the development of chronic diseases, depression, and obesity. Of course, there is no universal norm of how many hours of sleep each of us needs, but experts think that most people need at least 7 hours of sleep. It’s not uncommon for students to study or stay out with friends late at night. As a result, they feel tired during a day, can’t focus, and have trouble when learning new stuff. It’s critical for students to get enough sleep because it improves brain function and makes learning easier. Organize your day in such a way that you could have a regular bedtime every night. We all know about the importance of keeping a healthy diet but students may be often tempted to eat junk food, especially, under pressure during exams when they have no time to cook themselves. Eating unhealthy food for a long time can cause health problems. To prevent that, you should make adjustments to your eating habits and always follow some simple strategies: don’t skip breakfast, snack regularly to avoid hunger, and don’t eat much at night. Keep a good balance of meals and ensure that your diet includes a proper amount of fiber and protein. Eat a lot of fruits and vegetable, and don’t forget about whole grains and dairy products. Avoid sugary and fatty foods as well as caffeine and sugary drinks. Lack of water is bad for kidneys and skin and staying hydrated will give your energy during the day. You will also feel less hungry and won’t overeat. Always choose fresh filtrated water instead of soda which is filled with lots of chemicals that may be harmful to your body. A good idea is to bring water in a reusable water bottle with you to class. It is recommended that you should drink about 10 glasses of water every day. Find time for regular exercise. It will help to keep your body in shape. Students have busy schedules but you can always find at least 30 minutes for exercising every day. One of the easiest ways to do it is to walk to class. You can also take advantage of physical fitness classes and have a regular workout in the gym. You will be more active and become a more productive learner. 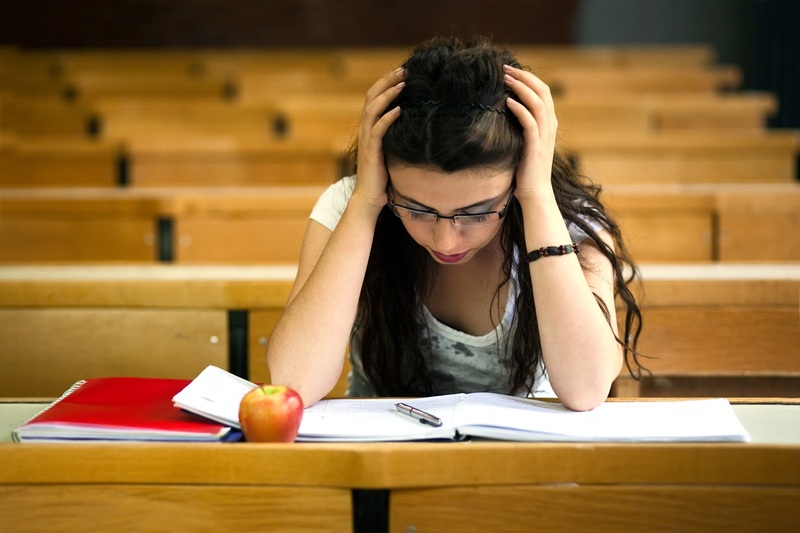 Being overloaded with coursework assignments, lots of students admit that they experience stress and depression. Set priorities and don’t try to achieve excellence in everything you do. Don’t compare yourself to other people. It’s not good to think a lot about achievements of other people. Follow your plan and compare your new self with a person you used to be. Don’t devote all your time to studying – give yourself regular breaks. Avoid stressful situations. Try to find enough time for reading a book, watching a TV show, listening to your favorite music, walking in the park, hanging out with your friends or doing something you really enjoy. A lot of people consider meditation a great way to relax. College years are exciting but they are full of temptations. Try to follow these easy tips to develop healthy habits. With a minimum of effort every day, you will stay more productive and be satisfied with your life.